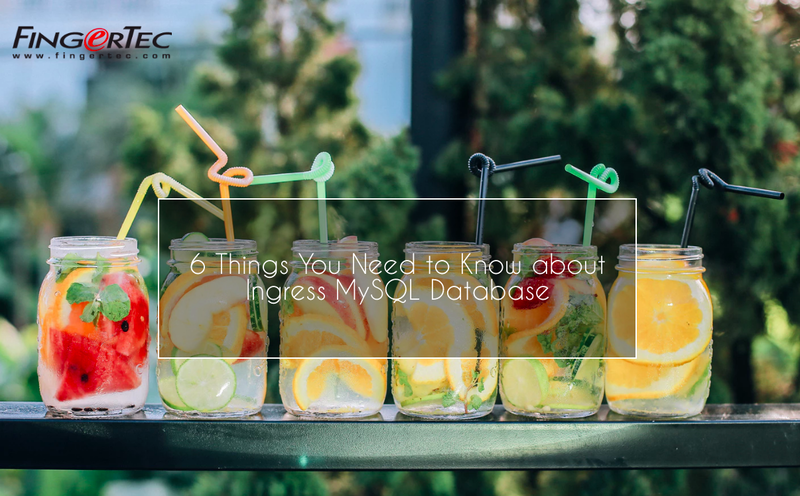 If you have some or absolutely no idea about MySQL database and how it works with Ingress, this is the right article for you to explore. It is well understood that by now there are countless articles written about MySQL database, and TimeTec Newsletter itself there are at least 30 articles that are touching on the same topic. In this article however, we will suggest on ways to communicate with Ingress MySQL database better. User count of 100 and device connection of maximum 10. However, if you are exceeding this limitation, your next destination is Ingress MySQL. Ingress MySQL gives the flexibility for users to connect Ingress software via Server-Client connection. Besides, Ingress MySQL allows users to cater up to 5000 User count, 10 Concurrent Client Connections and 50 standalone terminals with Real-time Monitoring Connection or 250 Standalone terminals without any Real-time monitoring Option. See the difference? 2) What do we use the DB installer for? 3) Why do I need to Run DB Installer after software update? To fix all of the above, after you run the software and restored the database, shut down the Ingress software and leave your Ingress Server running and execute the DB installer to complete all the 3 steps. The title says it all. Whatever you do, don’t lose your MySQL password. You configure MySQL password while running Ingress setup file for the first time. The Login and password are always set by the installer, and shall be kept somewhere safe for future reference. This is because the lost MySQL password is almost impossible to retrieve. There are some articles on how to retrieve them (sample article: http://www.fingertectips.com/2014/08/resetting-your-mysql-database-password.html ). You are welcome to comment whichever of them worked for you, because none of them worked for us. 6) What should I do if my Ingress MySQL database is exceeding the introduced limitation of User count, FingerTec device and Server-Client Connections? Choose a Server with better specs: Users can always provide their details of requirement for database size to support@fingertec.com, so that we can get our experts recommendation on the best Server Specs for a smoother run of Ingress MySQL. We hope that you get some idea about how to handle Ingress MySQL database, and please explore on this topic more if you are using it. Hello. Could you go into more detail on #6? "Break your MySQL database tables"
Are you saying to make a second table to archive the older data? And is there any danger of these tables conflicting with anything when the DB Installer is run at a later date? Regarding on your inquiry, kindly email to support@fingertec.com , so we can help to assist your better. Appreciate your feedback.